We’re getting ever closer to the end of this year’s footballing calendar. It’s about this time we start seeing supporters lashing out at the club’s hierarchy if things are looking precarious. It happens every year, especially if a club is seeing a rapid free-fall in performance. This year only 6 points separates 10th place from relegation in the Premier League. Whilst West Brom are floundering at the bottom, ten other teams- including Southampton, West Ham, Crystal Palace and Stoke City- are looking for a big finish to the season to remain in the English top flight. 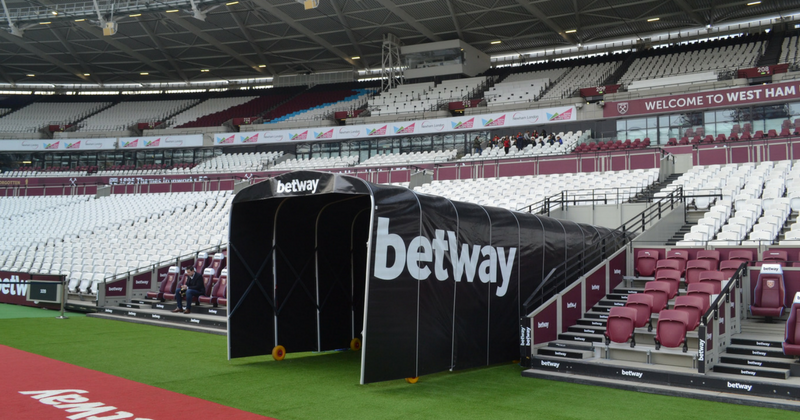 West Ham The weekend’s Premier League fixtures were marred by a poor West Ham performance at their new home at the London Stadium. Their 3-0 defeat to Burnley was the catalyst for huge fan demonstrations against David Gold and David Sullivan, the club’s co-owners. At 67 minutes, Burnley opened the scoring. Shortly after, the first of the afternoon’s fan invasions occurred as a supporter, brandishing a banner, was shoved from the field by an infuriated Mark Noble. Through the course of the game a total of three pitch invasions would occur, as well as a protest of hundreds of angry supporters in front of the director’s box, where coins and bottles were thrown. 👊Mark noble goes for fan!! Some child fans were invited into the Burnley bench to avoid the toxic and dangerous atmosphere that erupted at the London stadium. A full investigation will take place this week by the club. Absolutely barmy. PAOK Salonika PAOK’s top flight game against AEK Athens in the Greek Super League took an unexpected turn when a disallowed goal lead to the club’s president attempting a bit of vigilante justice. A group of PAOK fans ran onto the pitch,as well as the club’s owner who have a gun as their late winner goal was controversially disallowed. PAOK were looking for a win to send them within two points of league leaders AEK Athens. But with the game tied at 0-0, PAOK were denied a goal in the 89th minute by the referee. This was when president Ivan Savvidis tried to argue the unfair decision with a gun. That’s right- a gun! Players fled the pitch, concerned for their safety as any sane person would be, and the game was finally abandoned two hours later. Can you think of any other crazy football moments? Let us know what you think in the comments! Visit FOOTY.COM for the best prices on football kits, boots and equipment, and gear yourself up for another mad weekend of football! It's a bumper edition of "Jonny Sharples on ..." this week, as we take a look at 15 tweets straight outta the 90s. Petitions, ManUtdFanTV, A Nightmare on Elm Street. Jonny Sharples uncovers all the 80s has to offer.